It’s been a while since I posted any fictional food, and this morning trawling through my bookshelves for readerlyinspiration I found Crossing to Safety, by Wallace Stegner. This novel (introduced to me, incidentally, by the Parsnip Princess) is One of Those Books – it will remain one of my favourites for ever, I think. It’s about a lifelong friendship between two couples, and the dominance of one charismatic, exceptional, difficult woman over all four individuals. Very little has been written about this kind of complex, meandering, intense friendship, so the subject in itself is a fine thing. But the finest thing is the writing. I love this book. Here are new arrivals Larry and Sally going to Sid and Charity Lang’s place for the first time. I have heard of people’s lives being changed by a dramatic or traumatic event – a death, a divorce, a winning lottery ticket, a failed exam. I never heard of anybody’s life but ours being changed by a dinner party. We straggled into Madison, western orphans, and the Langs adopted us into their numerous, rich, powerful, reassuring tribe. We wandered into their orderly Newtonian universe, a couple of asteroids, and they captured us with their gravitational pull and made moons of us and fixed us in orbit around themselves. What the disorderly crave above everything else is order, what the dislocated aspire to is location. Reading my way out of disaster in the Berkeley library, I had run into Henry Adams. ‘Chaos,’ he told me, ‘is the law of nature; order is the dream of man.’ No-one had ever put my life to me with such precision, and when I read the passage to Sally, she heard it in the same way I did. Because of her mother’s uncertain profession, early divorce, and early death, she had first been dragged around and farmed out, and later deposited in the care of overburdened relatives. I had lost my security, she had never had any. Both of us were peculiarly susceptible to friendship. When the Langs opened their house and their hearts to us, we crept gratefully in. Crept? Rushed. Coming from meagerness and low expectations, we felt their friendship as freezing travelers feel a dry room and a fire. Crowded in, rubbing our hands with satisfaction, and were never the same thereafter. Thought better of ourselves, thought better of the world. In its details, that dinner party was not greatly different from hundreds we have enjoyed since. We drank, largely and with a recklessness born of inexperience. We ate, and well, but who remembers what? Chicken kiev, saltimbocca, escallope de veau, whatever it was, it was the expression of a civilised cuisine, as far above our usual fare as manna is above a baked potato. A pretty table was part of it, too – flowers, wine in fragile glasses, silver whose weight was a satisfaction in the hand. But the heart of it was the two people who had prepared the occasion, apparently just to show their enthusiasm for Sally and me. 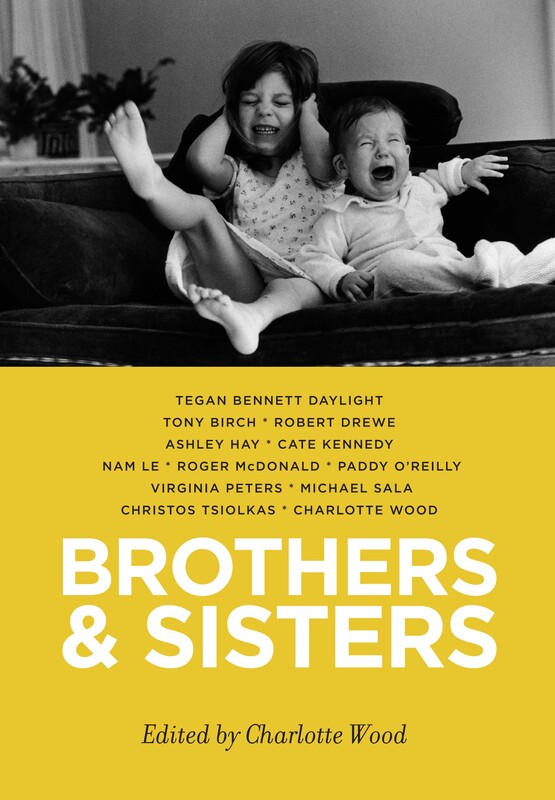 Am excited this week, because our anthology, Brothers & Sisters, is finally out, in the shops, published, released into the wild. The launch is in a couple of weeks – I would love all howtoshuckanoyster friends to come along, so if you are in Sydney and available on the evening of Tuesday 10 November, let me know! It’s so much easier to be vocal about and proud of a book I’ve edited than one I’ve written – quite a joyful experience, quite unlike the usual nauseous tremor that accompanies the release of a novel, and that ghastly fear every time you see a newspaper that within its pages you are being evaluated, judged, pilloried or – better, but still weird – foolishly praised … This time, though, I am so confident about the quality of the book because of the skill and talent of the writers within its pages, that I feel nothing but happiness that the stories and essays about siblings are finally reaching their readers. I am also thrilled because I’ve wanted for ages to post my friend Tegan Bennett Daylight‘s brilliant passages about loneliness from her story, Trouble, but have been resisting until the book is actually available. Trouble is narrated by a young woman who’s moved to London with her sister Emma, and the narrator’s loneliness as she watches the more confident Emma embrace the big new world they find themselves in while she herself is struggling to find her feet. 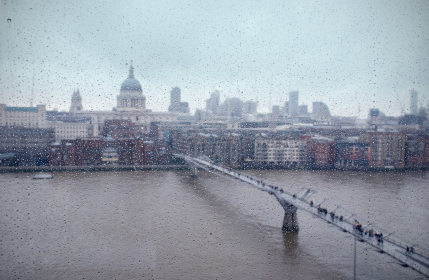 They share a plush apartment belonging to some family friends, but Emma is out a lot – at her groovy architect’s job, or with her new boyfriend – while the narrator stays home, watching out the window at the city, feeling fat and out of place, halfheartedly looking for a job and trying to ward off London’s cold, rainy misery. It’s a beautiful story about growing up, about loneliness and desire, and finding your own way in a world far from home. Here are a couple of bits I particularly wanted to share. Emma’s office was only a few tube stops from our flat, and I met her for lunch sometimes, but mostly I sat at home, too weary to struggle along in the fine bubbles of her wake. I couldn’t get warm. It was only September, and the flat was centrally heated, but I was doing nothing except sitting at the table in our white kitchen, whose window overlooked Vauxhall Bridge Road. Sometimes I ate porridge oats, dry, from a bowl. There was something solid and sustaining about them. You could make porridge in your own mouth, mashing the oats into a warm paste with teeth and saliva. I could eat two or three bowls at once. I looked in the newspaper for work. Sometimes I had baths to try to ease the cold ache in my sides and legs. Eventually she gets a job in a department store. After a month or so I gave up eating in the cafeteria at work, no longer exercised by the horrible fascination over the other staff’s eating habits. At first I had just sat and watched as slender, clear-faced girls collected trays of lasagne and chips, bowls of chocolate pudding, and Diet Cokes. Everything came with chips. London was the only place I had been where you were offered chips with Chinese food. Not even Parkes, not even Dubbo had food like that. It was partly the food, but partly also that I didn’t like people to see me eating. Later on I would wonder why I’d thought myself so fat – I was merely plump, a word I hated nearly as much as chubby – but back then there seemed to be no doubt about it. Whenever I could, now, I went over the road to Harrods to buy my lunch. In the food hall you could get a mango, or a bag of dates or figs. I always tried to get outside if it was sunny, but often enough I spent my whole lunch break in the food hall, sneaking figs from a paper bag while I stood in front of the bread display, or the butchery. Everything was beautiful in the food hall – the tiled floors, the columned rooms, the elaborate plaster ceilings. There were no windows, but the lighting was generous and warm. There was nowhere to sit, but I sat all day at work anyway, and there were always enough people to prevent me from feeling conspicuous as I walked around. One lunchtime I was waiting at the fruit counter when someone beside me said, ‘Hey.’ I looked up. The voice belonged to Tony, our floor manager. I had never spoken to him before. He was a tall, skinny man who always wore the same loose-fitting suit. He had a walkie-talkie clipped to his trousers and thick, slicked-back hair. Sometimes I saw him conferring with the white-shirted security men. I don’t think he liked Rory, he rarely came into our section. But I saw him in the distance sometimes, talking to an outraged customer. Women in particular became angry very easily, and it was his job to soothe them and make them want to come back. He had a gentle Cockney voice and quite a large mouth. He grinned at me. ‘Hungry?’ he said. ‘Seen you in here before. This lady was first,’ he said to the woman behind the counter.